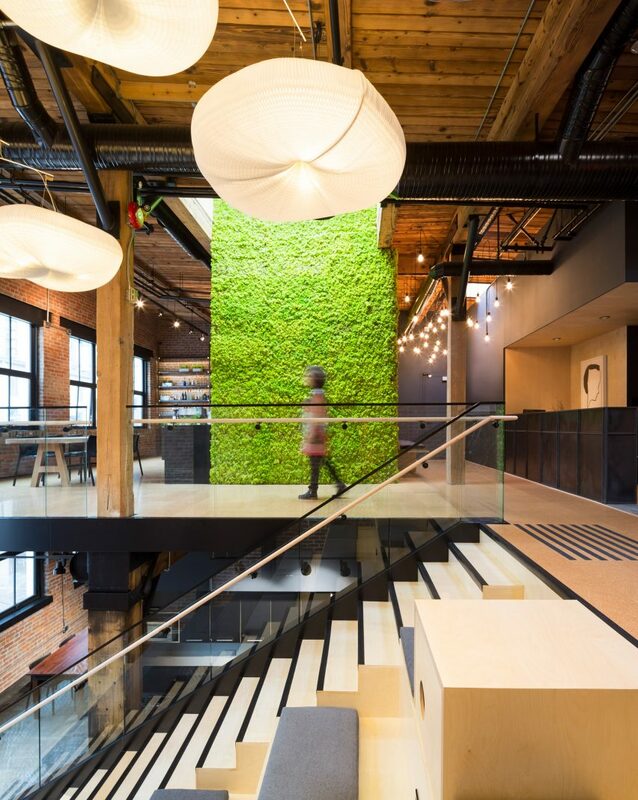 The overall interior makes a strong reference to the local climate, with a featured wall covered in moss, and timber and grey hues used to evoke the Pacific coast’s landscape and weather. “Representations of nature are placed throughout the space as reference to the larger context of the city of Vancouver and the local Pacific Northwest climate,” said Leckie Studio. Communal work areas and coffee stations take up the majority of the floors below. 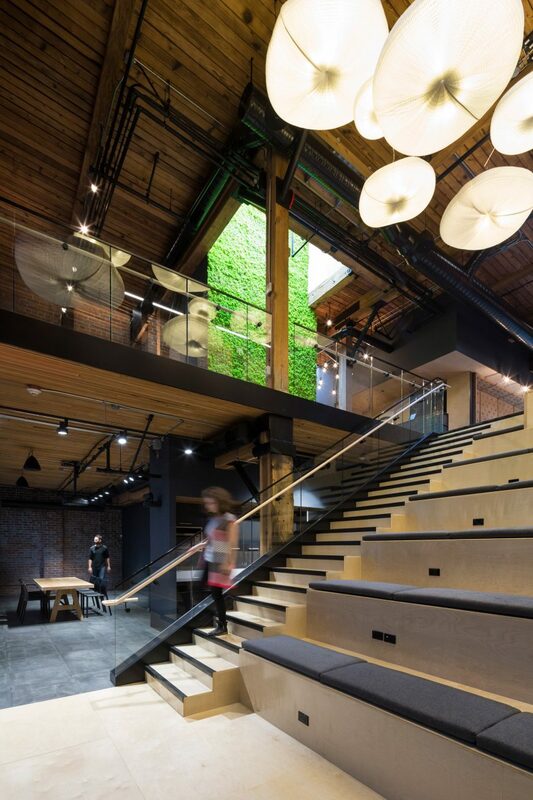 “There are no private offices in this project,” Leckie Studio said. Smaller work areas are housed in “meeting boxes” on wheels, while more private nooks are lined in grey felt and feature wooden ceilings with circular cut-outs. “The intention was to use a Japanese wabi-sabi approach to complement the building’s industrial character,” said the designers. Hot-rolled steel and cast-iron piping feature on windowed walls, doors and furniture pieces. “Interior systems and furnishings are locally fabricated, robust, and [we hope] would age gracefully in place over years of heavy use,” the studio said. 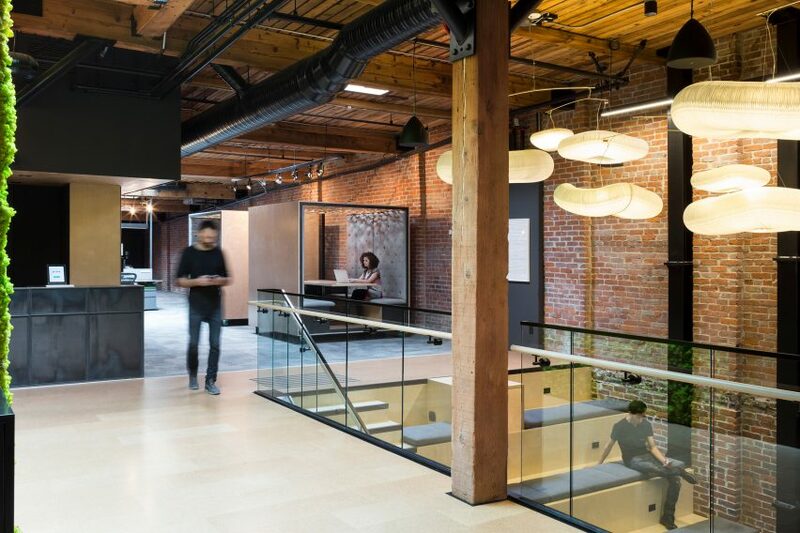 Slack is headquartered in San Francisco, but has opened offices worldwide since it was founded in 2009. In New York, the company’s Snøhetta-designed workspace features wooden bleachers and planted screens, while ODOS Architects created timber and concrete interiors for its Dublin outpost.